The chakras are important gears in the human EMF array. By placing our awareness on them, we experience the dimensions associated with them. Multidimensionality is the ability to place our awareness on chakras, or dimensions, other than the dominant chakra of our natal propensity. The desire to shift gears in this way requires flexibility of mind; a leap of faith that allows us to test the hypothesis that there is more to this reality than the space-time continuum we are currently experiencing. Fortunately this is easily tested, simply by meditating on the energy of each chakra, one at at a time. 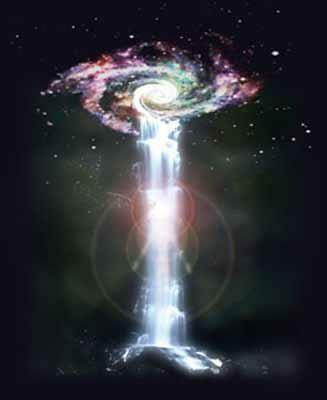 In that way, we bring into our experience the various pre-Ascension dimensional possibilities of humankind. 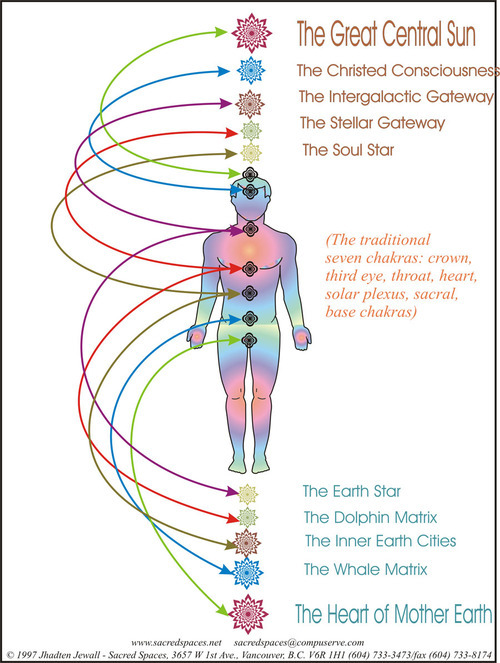 Image: New chakras of the human EMF: https://heartstardotorg.files.wordpress.com/2014/05/star-chakra-system.jpg .. Starting above the head, we have the Soul Star, the Stellar Gateway, the Intergalactic Gateway, the Christed Consciousness, and the Great Central Sun. And then below the feet, we have the Earth Star, the Dolphin Matrix, the Inner Earth Matrix, the Whale Matrix, and the Heart of Mother Earth. Image: funnel of electromagnetic energy: http://drakenberg.weebly.com/uploads/6/7/4/7/6747442/3342902.jpg?516 .. I note this energy is shaped like a Chinese finger puzzle. These puzzles have great tensile strength because of the diagonal interfaces. Image: Chinese finger puzzle attached to one finger of each hand: http://yantheosteopath.com/wp-content/uploads/2012/04/chinese-finger-trap.jpg ..
Video: “Torus Fun (Sacred Geometry by ieoie): https://www.youtube.com/watch?v=u0eOuxJX36g .. Image: Human EMF torus, a donut-shaped electromagnetic field: http://www.jeannettebose.com/files/jeannette/imagecache/wysiwyg_imageupload_colorbox_preset/wysiwyg_imageupload/3/torusfield.jpg .. Image a human astral body: http://www.theosophywales.com/ASTRAL%20BODY.jpg .. The colors that are clair envisioned in this depiction of the astral form indicate the manner in which the chakras affect the qualities of the human EMF torus. Note that this image is egg-shaped, but it would be better to imagine the entire, 3D human EMF torus rippling with colors generated by the chakras. Image: EMF torus showing chakric colors inside and outside: http://psychicspiritinyou.com/wp-content/uploads/2012/12/torus1.jpg .. The human chakric array is a subtle and ingeniously devised machine, based on the star knowledge of those who, countless ages past, have ascended before us. The chakras act as gears in the human EMF, ramping it down (lower chakras) or up (higher chakras) in frequency. Each chakra has its utility. By placing our awareness on the lower chakras, we can experience life as grounded human beings, living on planet Earth. By placing our awareness on the higher chakras we can experience other forms of awareness, such as that of Gaia, that of our Solar System, that of our Galaxy, and so on. At the highest level of awareness, we can experience God-consciousness. Image: Expanded human kundalini, from center of Earth to galactic level: http://tracyfance.com/wp-content/uploads/2016/08/Soul-Star-Chakra.jpg .. Image: EMF of Earth interacting with the Sun’s solar wind: http://www.xearththeory.com/wp-content/uploads/expanding-earth-electric-universe-power.jpg .. 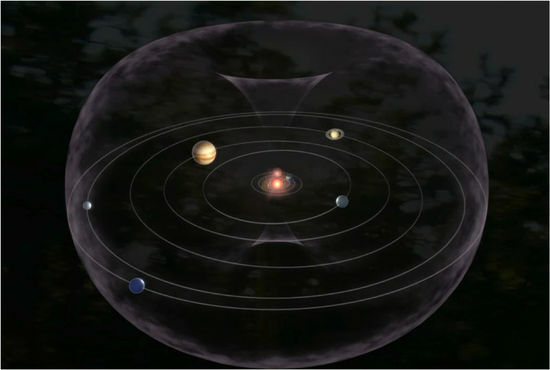 Image: EMF of our Solar System: http://s3.amazonaws.com/thrivemovementassets/resources/images/000/000/738/large/science-solarsystem.jpg .. Image: EMF of the Milky Way: http://s3.amazonaws.com/thrivemovementassets/resources/images/000/000/740/large/science-galaxy-torus.jpg ..
Post-Shift, then, the new Chakric gears available to us have expanded our multidimensional capabilities to levels of EMF experience as great as that of this entire Universe. The gears available begin with photonic experience, at the lowest subpersonal level, and arc outward in ever more expansive hologramatic experiences, from the human physical body to the human subtle bodies, and on to planetary, solar system, galactic, and universal consciousness. 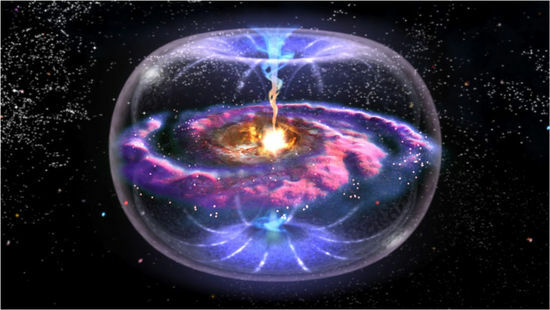 This entry was posted in 11 – Galactic body (Milky Way), All - Law of One - Ra, Astrogeophysics - EMF - hologram, Dimensions - multidimensionality - veils, Earth hologram, Human torus, Solar events - geostorms, Subpersonal chakras, Transpersonal chakras - 8th to 12th, Yoga and tagged 12-chakra system, All, astrogeophysics, Chakras, dimensions, Earth hologram, Earth's EMF, electromagnetic field, galactic EMF, human EMF, Kundalini (see also 'Plane of Forces'), Law of One, Maya, milky way, multidimensionality, new chakras, photon, post-Ascension chakras, solar system EMF, subatomic particles, torus on 26 November 2016 by Alice B. Clagett.